Latest results of Iran’s twin elections show that candidates belonging to the Principalist camp are in the lead countrywide while reformists are at the helm in Tehran constituency. According to the Iranian officials, with 90 percent of the votes counted by early morning on Sunday, 30 seats belonging to the capital city at the parliament have been won by reformist figures, though the result is still prone to change pending further vote count. 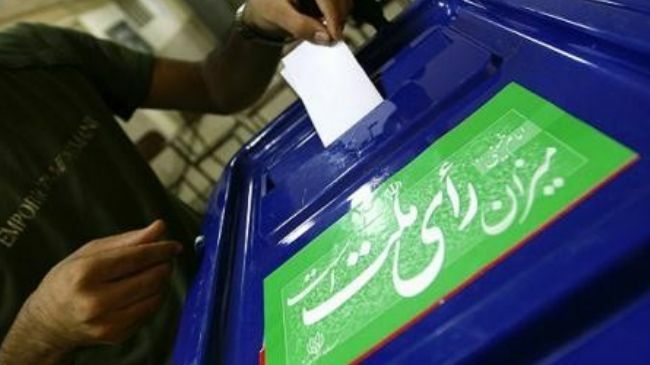 The Iranian Interior Ministry’s latest report on Sunday said a total of 3,846 ballot boxes pertaining to parliamentary elections have been counted so far containing 2.633 million votes, adding that counting ballots from remaining boxes is still going on. Also a total of over 1.506 million votes cast in the Assembly of Experts’ elections in Tehran have been so far counted with nationwide count going on in parallel. Based on the latest count, all parliamentary seats related to Tehran constituency have been won by reformist figures with former vice president Mohammad Reza Aref leading the capital city’s parliamentary list followed by Ali Motahhari, Alireza Mahjoub, Soheila Jelodarzadeh and Elias Hazrati, all reformist figures. Meanwhile, the initial results of the Assembly of Experts elections in Tehran Province released by the Interior Ministry show that Chairman of the Expediency Council and former president, Akbar Hashemi Rafsanjani, and President Hassan Rouhani are leading the votes. Current member of the Assembly of Experts, Mohsen Qomi, and Tehran’s interim Friday Prayers leaders, Mohammad Aqa Emami, and Mohammad Ali Movahhedi, stand in the third to fifth places. Secretary of the Guardian Council Ahmad Jannati, Intelligence Minister Mahmoud Alavi and current chairman of the Assembly of Experts, Mohammad Yazdi, are 10th to 12th, while Mohammad Taqi Mesbah, who is also a member of the Assembly, stands at 16th place. At least 33 million out of the 55 million eligible voters took part in Iran’s 5th Assembly of Experts and 10th parliamentary elections on Friday. As many as 4,844 candidates, including about 500 women, were competing for a place in the 290-seat parliament. A total of 159 candidates ran for the 88-member Assembly of Experts. Members of the Assembly serve eight-year terms while MPs are elected every four years.